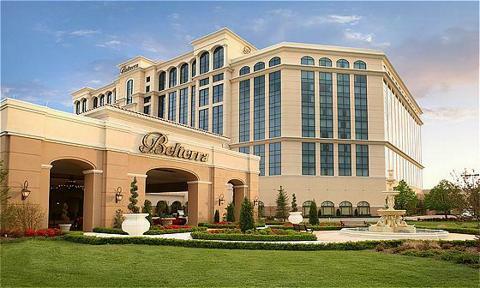 @HPTPoker returns to Belterra Casino in Florence, IN this weekend for another $1,100 Main Event. There are three Day 1's - 2pm starts on Thursday, Friday and Saturday, Dec. 1-3. Players start with 30,000 chips and play 40-minute levels throughout the tournament. See the schedule below for all details. Late registration and unlimited re-entries is available through level 9 and the hour-long dinner break. Walt Lustgraaf your New HPT Champion!!! Lustgraaf picked up a few key hands when he needed them to get to the heads up chip leader. Once Heads up Lustgraaf controlled the play winning 90% of the pots heads up and only loosing one big one, when he held AK. This is Lustgraaf's biggest cash ever and plans to spend some money on family, pay some bills and play more tournament poker. @AmeristarKC has been a great host for this event and we cant wait till next time to see who takes it down! After bleeding Nick Summervill down a bit Walt Lustgraaf opens to 250,000 and Summerville moves all in for 1,450,000 and Lustgraaf quickly calls. The on the flop all but ended the hopes of Summervill. Nick Summervill was eliminated in 2nd place. Walt Lustgraaf opens to 250,000 and Nick Summervill moves all in for 1,290,000 and Lustgraaf quickly calls. The board doesnt help Lustgraaf and Summervill gets the double. Walt Lustgraaf takes a huge advantage over Nick Summervill. Lustgraaf makes it 200,000 to go and Summervill calls. Summervill leads 500,000 and gets a call. Summervill leads 1,125,000 and is called instantly. Lustgraaf shows A4 for two pair. The blinds went up and Walt Lustgraaf opens to 210,000, Nick Summervill raises to 500,000. Lustgraaf re raises to 1,300,000 then Summervill moves all in and Lustgraaf folds. Heads up play is underway. Both Players going for their first HPT titles, this being Summervill's first ever tournament cash. First Place will take home $111,000 in cash. Walt Lustgraaf opens to 140,000 when Keith Murrell 3 bets to 530,000 and Nick Summervill shoves behind. Lustgraaf has a hard time folding but finally does. The J never comes Murrell and he finishes in 3rd place. Walt Lustgraaf opens to 130,000 and Keith Murrell 3 bets to 330,000 and Lustgraaf makes the call. Murrell leads 400,000 and Lustgraaf make the call. This time Murrell check calls Lustgraaf's 650,000 chip bet. again Murrell checks but when Lustgraaf bets 750,000 Murrell insta mucks. Lustgraaf takes the chip lead 3 handed. Chris Scott opens to 130,000 and Keith Murrell 3 bets to 460,000, Scott moves all in for 1,500,000 and has Murrell covered. Murrell thinks and final makes the call. Board but the river leaves Scott with just 2 big blinds. Murrell knocks out Scott the very next hand and he finishes 4th. Nick Summerville takes one down as the blinds are going up. Chris Scott opens to 110,000 and Jonathan Hanner moves all in for 1,200,000. Walt Lustgraaf reshoves and has Hanner covered. Scott instantly mucks. The board gives no help to Hanner as he shakes his head and he will be eliminated in 5th position. Nam Phan open shoves in early position and Nick Summervill makes the call. Chris Scott tanks for 2 minutes scratches his head and eventually folds. Scott said he had JJ. The board flops a K and Phan finds no help and will be eliminated in 6th place. Nick Summervill 3,200,000 and the new chip leader.